The Twitter accounts for Nicolas Maduro, the interim president of Venezuela, and the United Socialist Party of Venezuela (PSUV) have been hacked on the day of a special election, with Lulz Sec Peru taking credit for the action, as noted by the AP. Maduro’s account has over 710,000 followers, and the PSUV boasts over 460,000 followers. Defacing tweets on both accounts directed users to begin following Lul Sec’s account. Lulz Sec, short for Lulz Security, is a hacking group that has at times been loosely connected to the Anonymous collective. #FRAUDELECTORAL Hacked By @lulzsecperu , Follow US ! 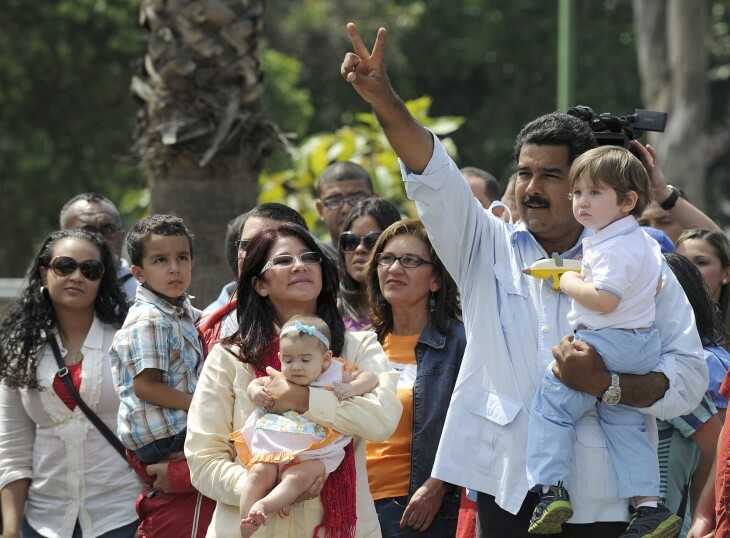 Maduro was chosen by Chavez to be his successor, but he’ll have to defeat Henrique Capriles to do so. Polls taken just prior to the elections suggested that Maduro has a modest lead over his rival. Chavez passed away from cancer on March 5th. Interestingly, Maduro recently recounted how Chavez’s spirit had come to wish him luck in the form of singing “little bird”. That luck apparently didn’t include maintaining control of his Twitter account. Update: Maduro has narrowly won the election with 50.76% of the vote.